Pick-up from Kochi Airport / Thrissur Railway station. Departure to Guruvayur – Transfer to Hotel. Local visits Sri Guruvayur Temple, Mahmiyur Mahadevan Temple, Parthasarthy Temple and Elephant Camp. Overnight stay at GURUVAYUR. After breakfast, proceed to Munnar (275 kms. / 4 hrs. ), Enroute visit Kalady – Birth place of AdiShankaracharya Temple, Athirappilly waterfalls, upon arrival, check into hotel. 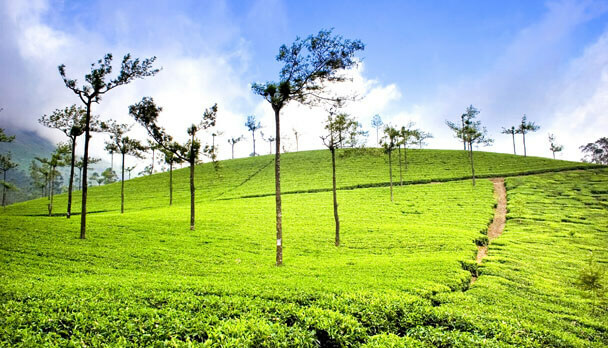 Munnar is most popular hill stations in Southern India known for its sprawling tea gardens. Leisure in the evening. Overnight stay at MUNNAR. After breakfast check-out from House Boat and Departure to Kochi (90 kms. / 2 Hrs). Transfer to hotel. Local visits. Jewish Synagogue, Dutch Palace, Santa Cruz Basilica and Chinese Fishing nets. Evening enjoy the boat ride by Sagara Rani. Overnight stay at KOCHI. After breakfast check-out from Hotel and drop at Airport / Railway station for onward journey.